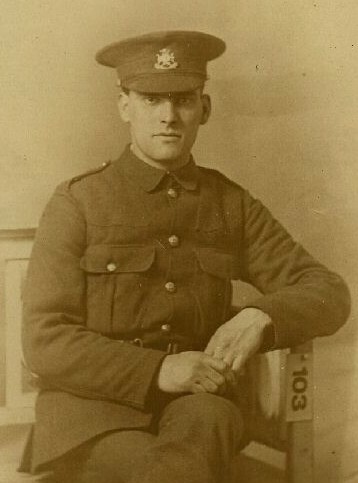 Harry Slack was an original member of “E” Wirksworth Company and enlisted in April 1908 having served with the 2nd Volunteer Battalion. He served in No. 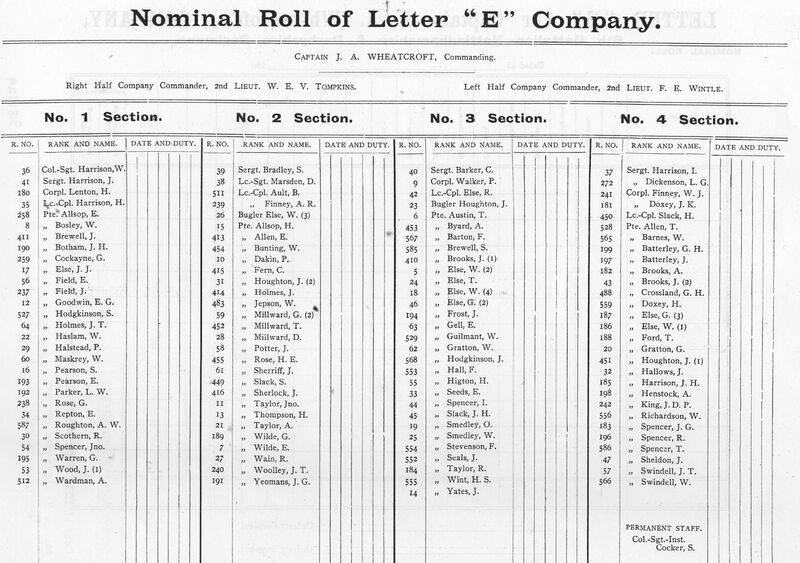 4 Section of 2/Lt Francis Edward WIntle’s Left Half Company. 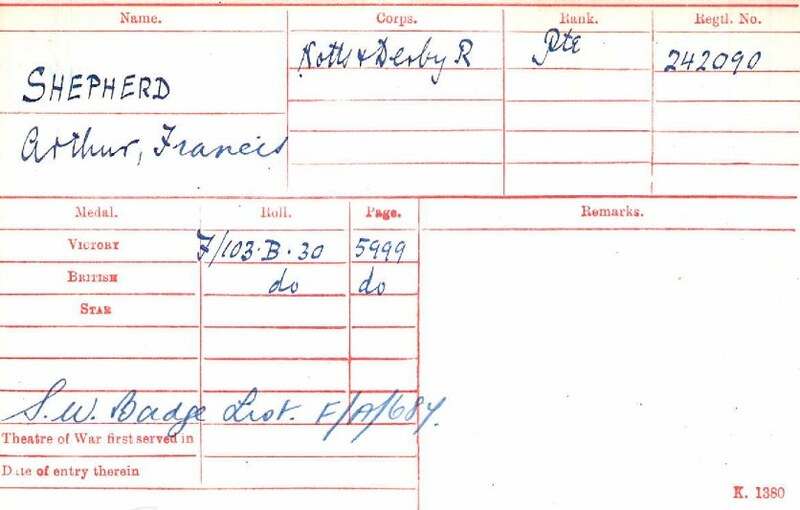 Harry was transferred to the 2/6th Battalion and proceeded to France with them in February 1917. He was killed in action on the 1st December 1917 during the Battle of Cambria. 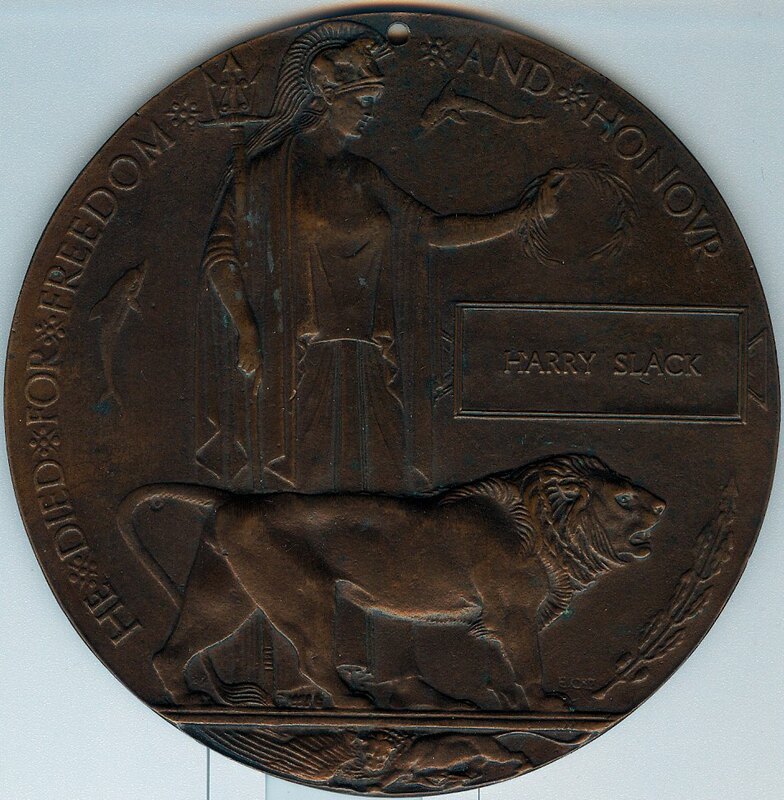 He was aged 32 and the Son of Mr and Mrs William Slack of Rise End, Middleton, Wirksworth in Derbyshire. Harry has no known grave and is Commemorated on the The CAMBRAI MEMORIAL at Louverval. 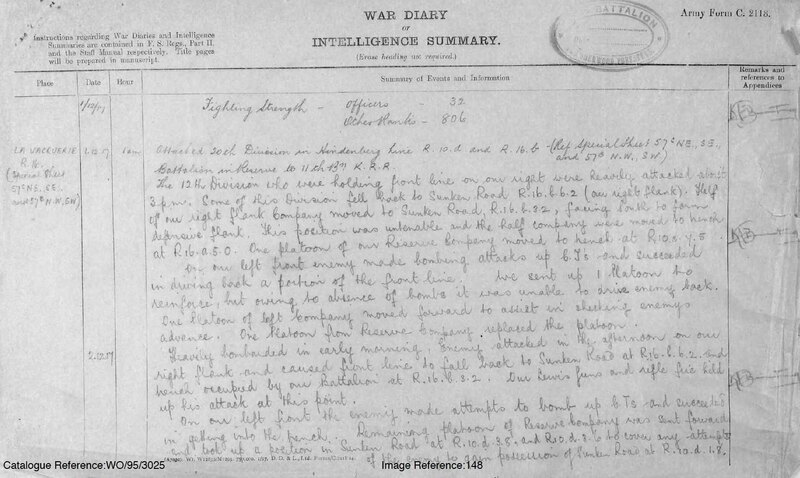 War Diary entry for the 1st and 2nd December 1917 describing the German attack on the British front line positions. Defensive positions of the 2/6th Battalion Sherwood Foresters during the 1st and 2nd December 1917. The location of the old German front line is indicated by white circles, whereas the Flank (F) and Reserve (R) Companies are indicated by white boxes. Harry was most likely killed during the German attack on these positions. 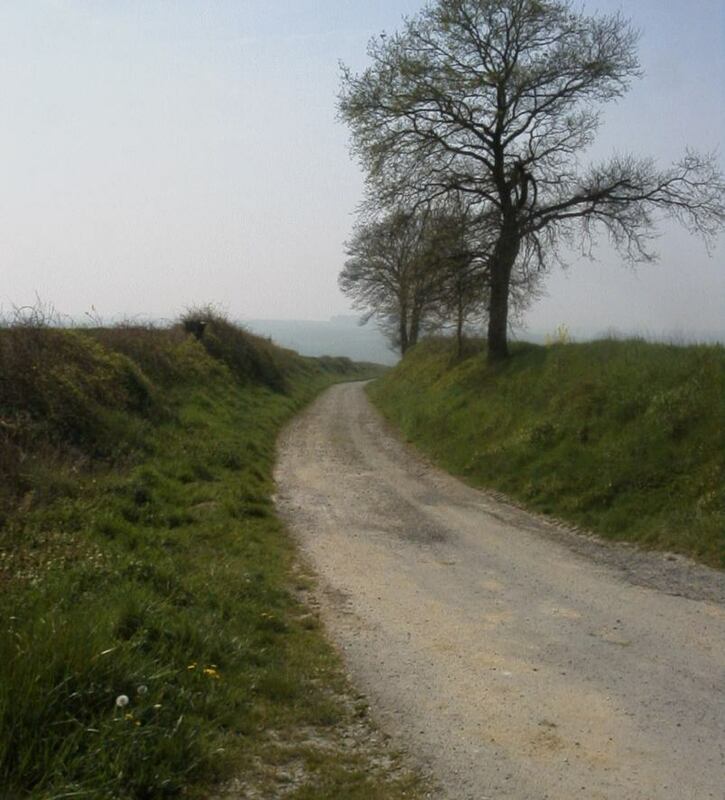 A view down the sunken road at R.15.B.3.2. 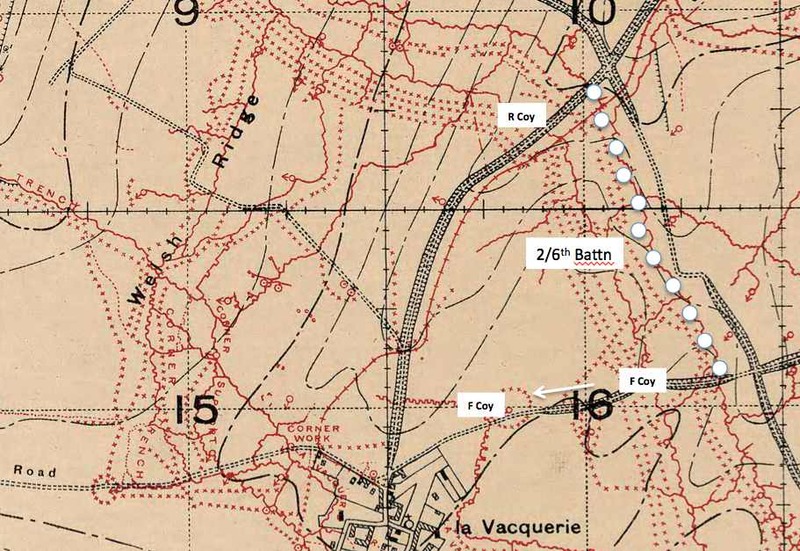 where the ‘flanking’ Company (F) of the 2/6th Battalion held off the German attack. 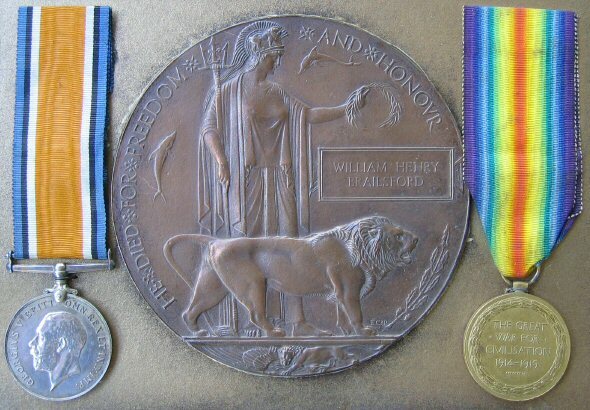 In total 2/Lt Harry Herbert Hall and 29 NCOs and men were killed during these two days of fighting. 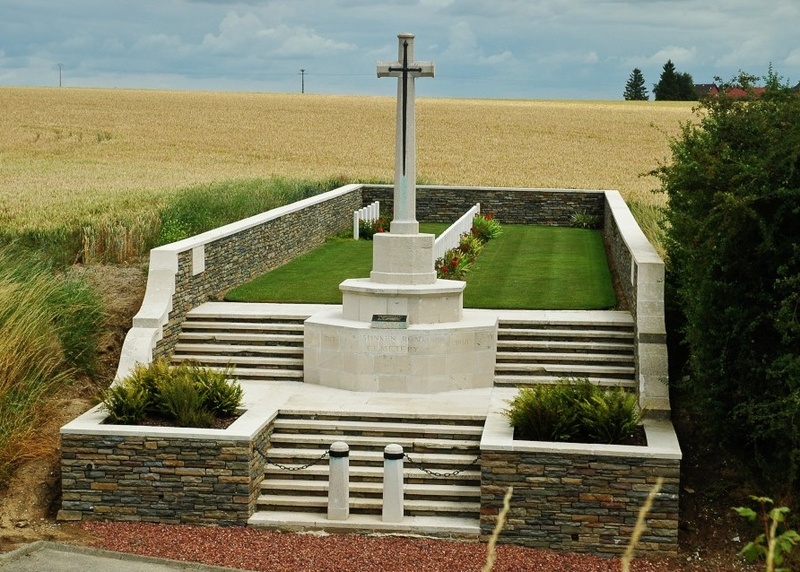 The body of Harry Hall was removed at the time and he is now buried in Sunken Road Cemetery in Villers-Plouich, whereas the bodies of his men were not and they are all Commemorated on the Cambrai Memorial at Louverval. For a full list of men killed in action see here – 1st-december-1917 Casualties. Interestingly, of the 29 men killed in action, 16 were men that had originally arrived with the 2/6th Battalion in France in February 1917 and have a 24**** Regimental Number. William Henry Brailsford was born in 1892 and was a resident of Clay Cross. 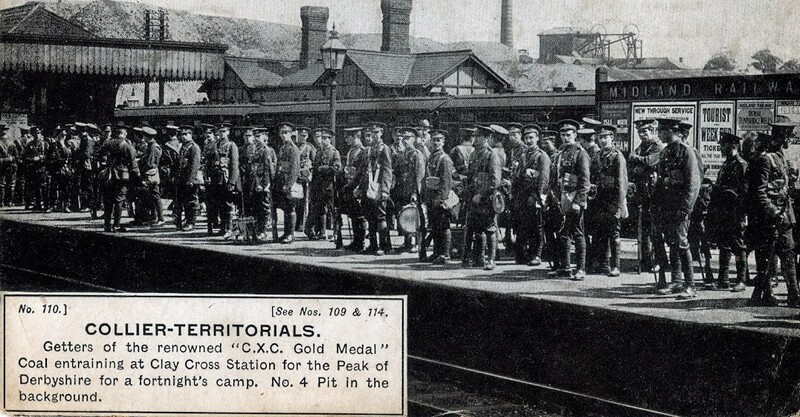 He was a collier by trade and enlisted into the 2/6th Battalion in October 1914. 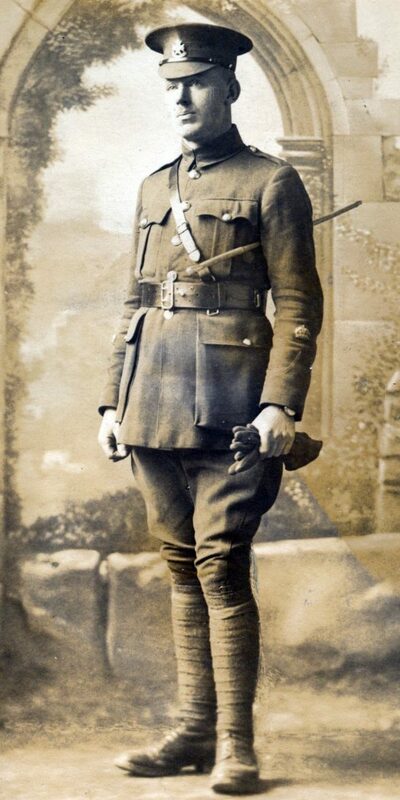 He arrived in France on the 11th June 1916 as part of the 11th Reinforcement to the 1/6th Battalion. He was killed in action on the 5th November 1917 during an attack on the German trenches at Hill 60 near to Verquin. The 1/6th Battalion was instructed to carry out a raid on the German trenches known as New Trench, Hercules Trench and Hunt Trench. The raiding party consisted of four Officers and 124 other ranks. Following a successful raid in which 12 Germans were killed, the party returned with three prisoners. Casualties suffered by the raiding party included one Officer wounded (Lieutenant Cyril George Radford wounded in the abdomen), 2 men killed, 14 wounded and 5 missing. The two men killed were 2496 Sergeant John Stevenson and 2238 Pte. Royal Murray, both of whom are buried in Philosophe Cemetery near to Mazingarbe. The bodies of Brailsford, Metcalfe and Salt were not recovered after the War and they are remembered on the Loos Memorial (Panel 78 to 89). 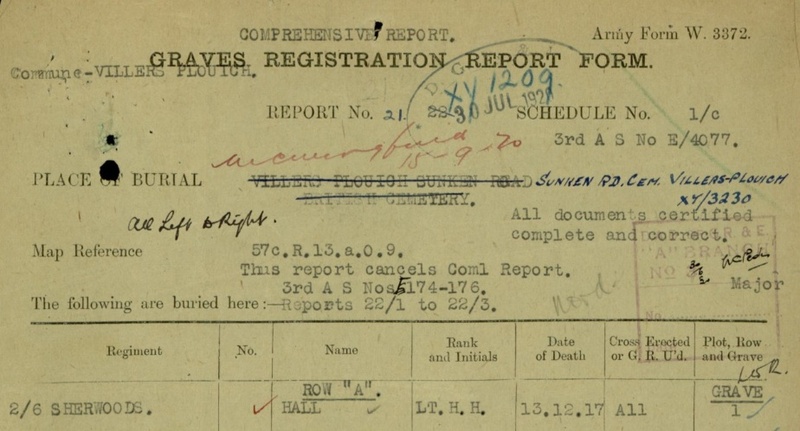 “Casualty Form – Active Service” stating that William Brailsford was recorded missing on the 8th November 1917, but it was not until the 5th April 1918 that it was accepted that death had occurred on or after the 5th November 1917. 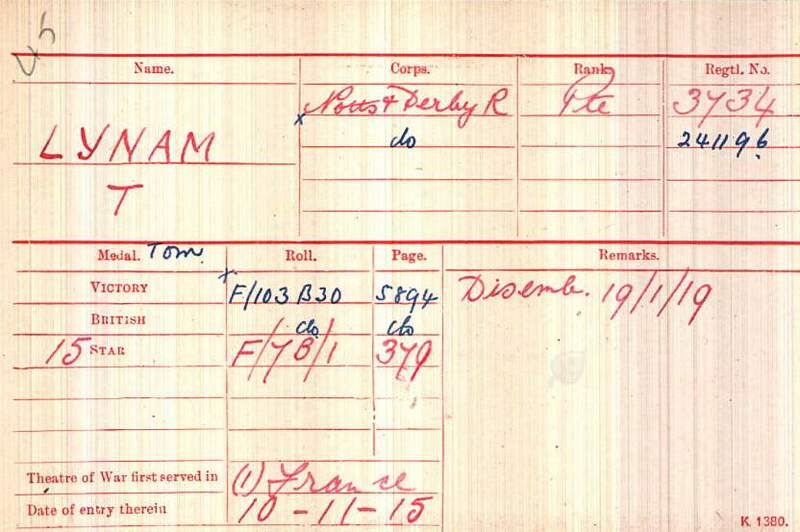 Thomas Lynam enlisted into the 2/6th Battalion in January 1915. He arrived in France in November 1915 with the 3rd Reinforcement and was posted to “B” Company. 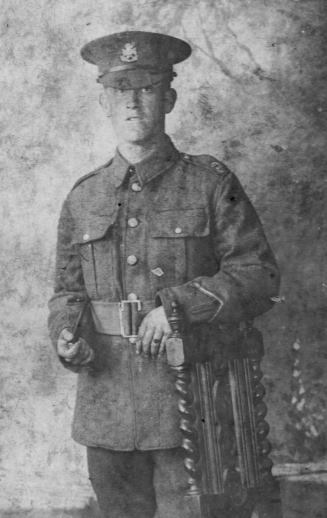 Tom served through the Battle of the Somme, but suffered gas poisoning during the advance on Gommecourt in February 1916. 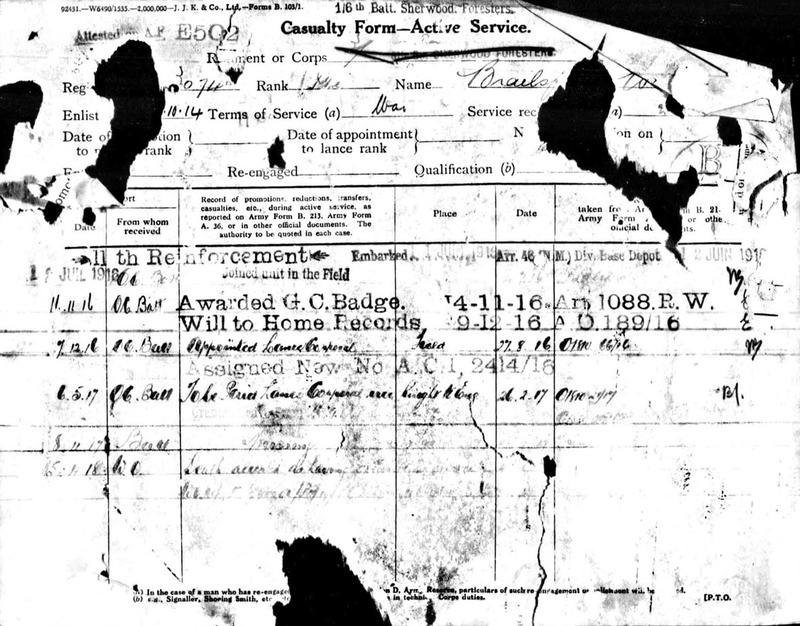 After recovering in England he returned to France and was posted to the 11th Battalion. Tom was finally disembodied in January 1919 after serving 4 years with the colours. 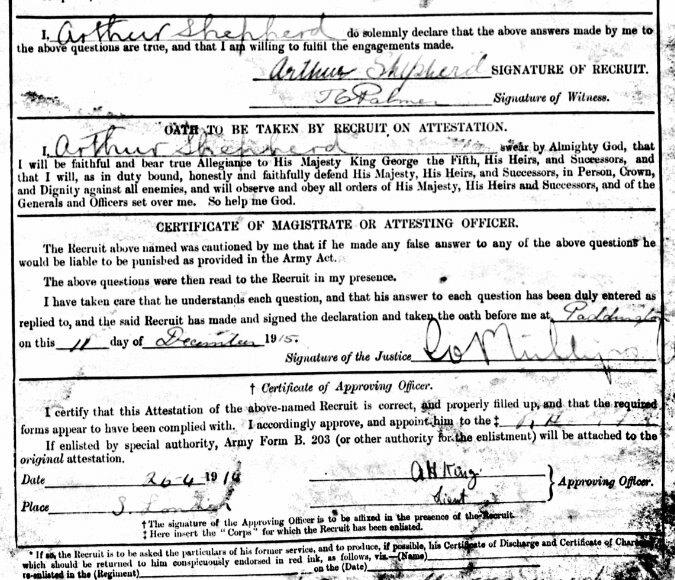 Arthur attested at Paddington in December 1915, which was subsequently approved in April 1916. 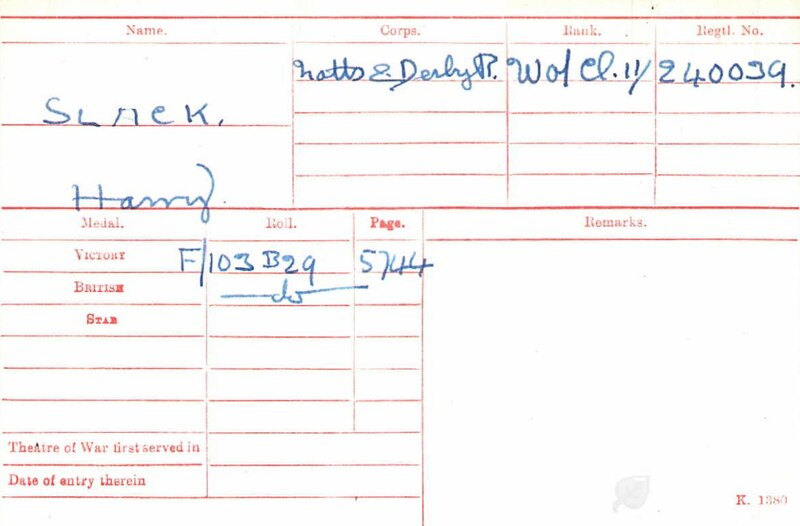 However, he was not mobilised until October 1916 when he was posted to the 2/6th Battalion and trained as Reserve No. 5 on the No. 1 Lewis Gun Team of “B” Company. His 4-digit Number would have been 5853 and he arrived in France in February 1917 with the 59th Division.